Quality Care at an affordable price! As the spotlight continues to shine on health care in the United States and its affordability, dental care is often overlooked. 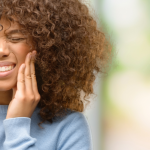 The Health Resources and Service Administration reports that nearly 108 million Americans are without dental insurance. 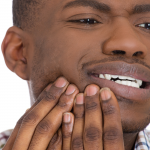 In fact, the rising cost of dental insurance is affecting more than those that are financially disadvantaged. 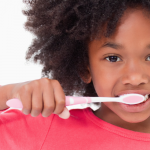 Middle income America is feeling the effects of the increasing costs of dental care, as well. Those who pay for dental insurance are still stuck with a large portion of the dental bill, with some insurance plans only picking up $1,500 for the year. The price range for procedures from fillings to braces can range from hundreds of dollars to thousands. Paying a monthly premium and receiving coverage of only $1,500 can cause middle income Americans feel that financial pinch. If you’re looking for an affordable option consider dentistry by students. If quality dental care at an affordable price from one of the top twenty dental schools in the country appeals to you, then Penn Dental Medicine is the place for you. Penn Dental Medicine offers affordable dental care because our dental students are trained and mentored by some of the best in the industry. Our dental students want to ensure their patients receive the best care possible and that’s why they pay meticulous attention to detail in order to master each procedure. To become one of our patients, contact Penn Dental Medicine to make an appointment for your initial examination. At your initial examination, a dental student will take your medical history, perform a brief physical and dental evaluation. The evaluations are to help determine if you are eligible to become one of our patients. 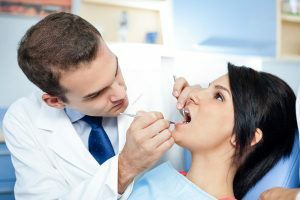 You will also receive an oral cancer examination, and if necessary x-rays will be taken. Depending on your eligibility and your treatment needs, you will be assigned to a predoctoral or postdoctoral clinic. At your second appointment, the student doctor, supervised by experienced faculty, will complete your examination and develop a personalized treatment plan. If your treatment plan falls in line with our educational training, you’ll be accepted into the program, and your treatment can begin at your next appointment. However, if you are not accepted into the program we will provide you with a treatment plan that we suggest you pursue. 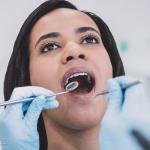 If dentistry by students is the affordable alternative you’ve been looking for, then let Penn Dental Medicine give you the quality care you deserve!